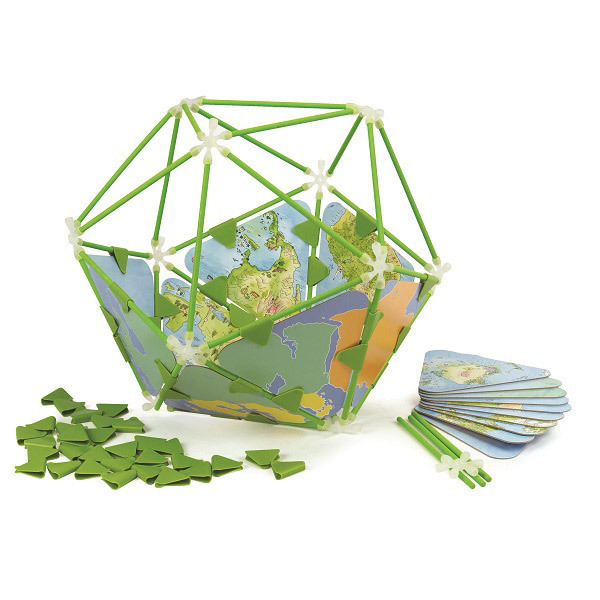 Create your own map globe thanks to the Architetrix Globe Set by Hape! Perfect to learn the name of countries and oceans, encourages hand-eye coordination. From 4 years old. Content: 127 building pieces. Not suitable for children under 36: small parts can be swallowed. Throughout the process, from design to delivery, Hape toys are made with ecological responsibility in mind. In addition to using specific materials and methods, Hape works with concerned local and international companies who respect the environment and sustainable development.